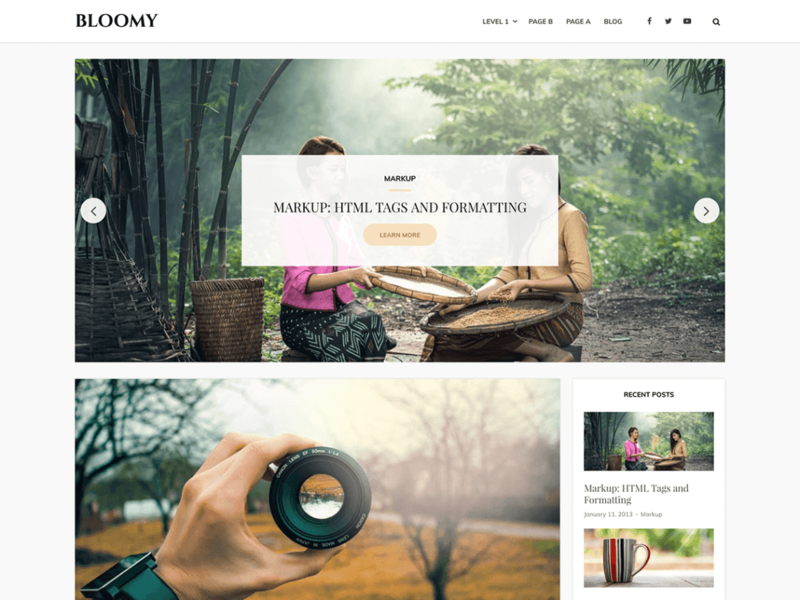 Bloomy is a clean, minimal, search engine optimized (SEO) and fast loading WordPress theme. It is lightweight theme that can make your website load blazingly fast. With support for page builders like Elementor, Beaver Builder, Visual Composer, it is possible to build any kind of website. It is also RTL & translation ready. Theme boasts other useful features like 3 header styles, featured posts slider, typography options, layout options and multiple footer column options. With such useful options and fast loading speed, it is perfect choice for building your awesome website.